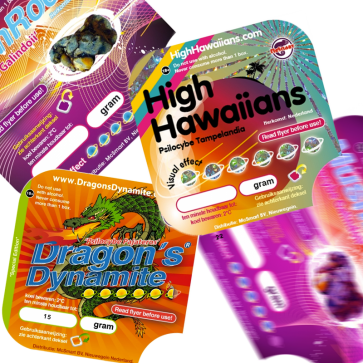 Try all the powerful magic truffles with this discount pack including: Dragons, Hawaiians,Utopia and Hollandia magic truffles. 4 x 15 grams of Magic Truffles. In vacuum sealed packaging. Nice trip ,giggly , good visuals !! Just bought this power pack on Tuesday 7th and arrived on Friday 10th!!! Four of us took these ...mixed all four packs in a food bag, I took 20g( I’m experienced cow field shroomer ;) ) wife , son and nephew took around 12-13g or so each. Great service and discreet packaging. I had an issue with my payment but that was quickly resolved with the help of Leia from Customer Service.